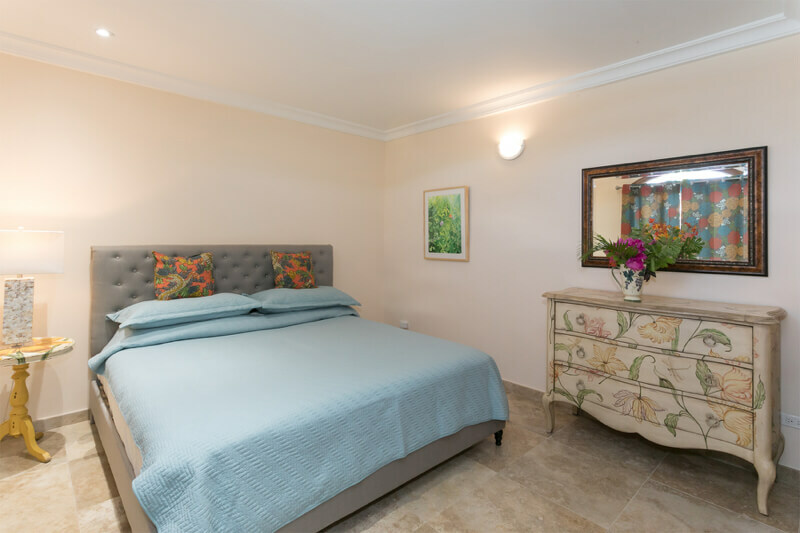 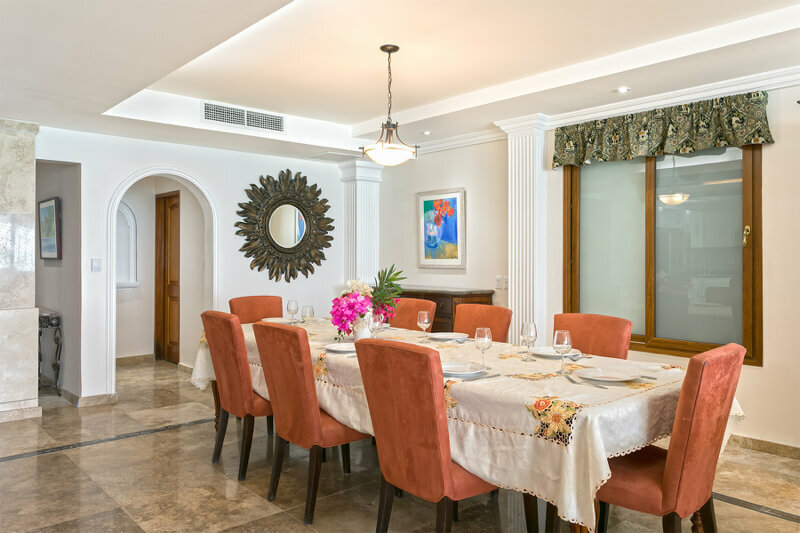 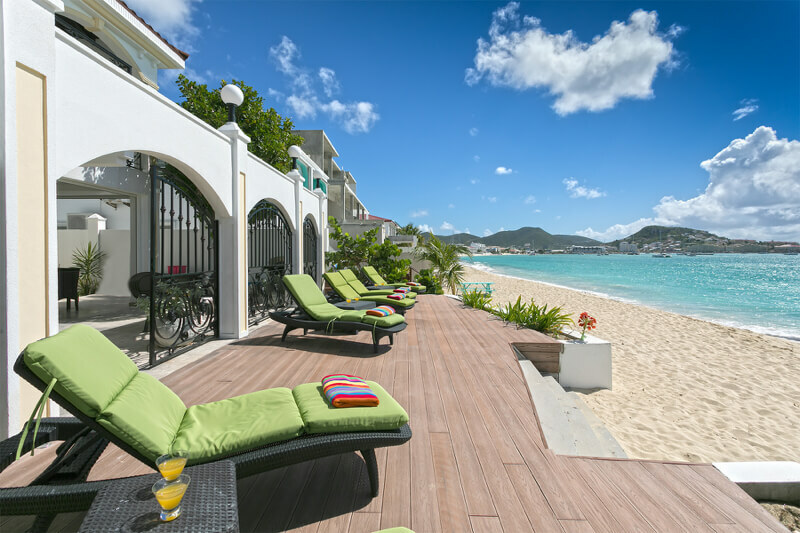 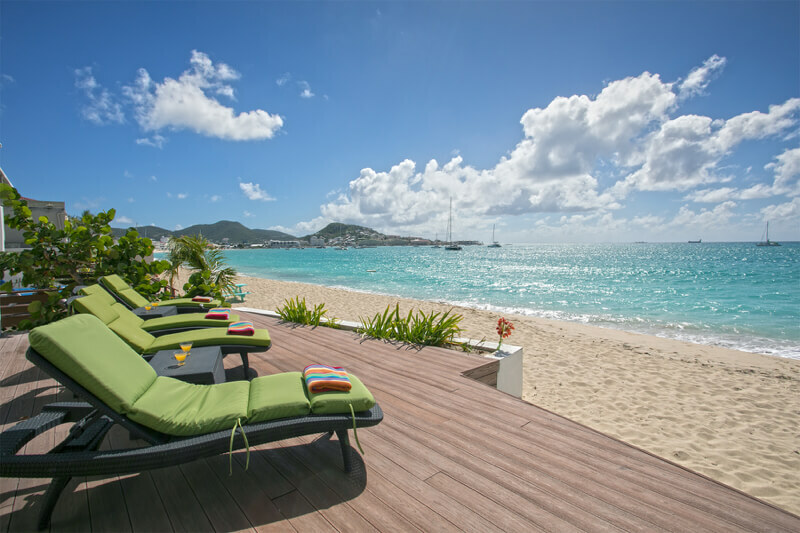 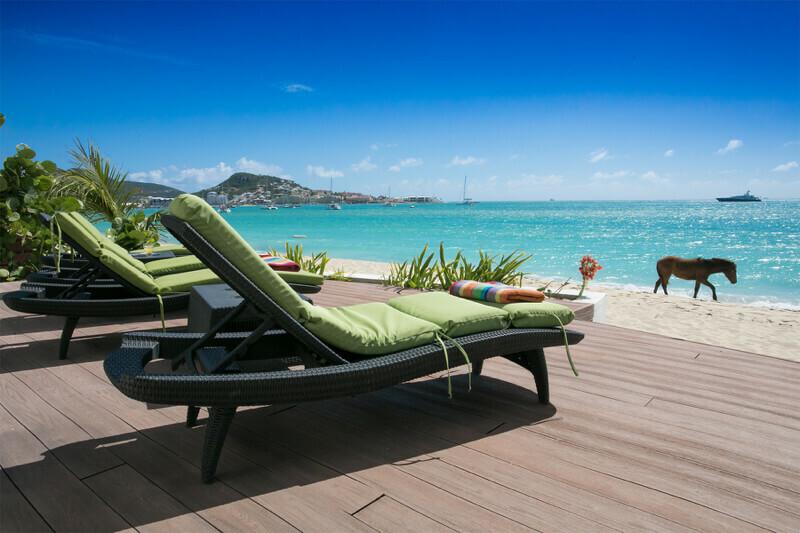 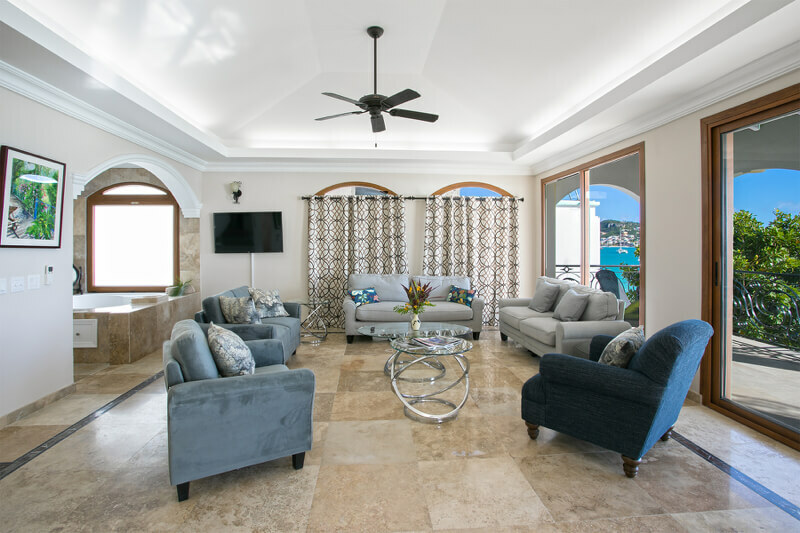 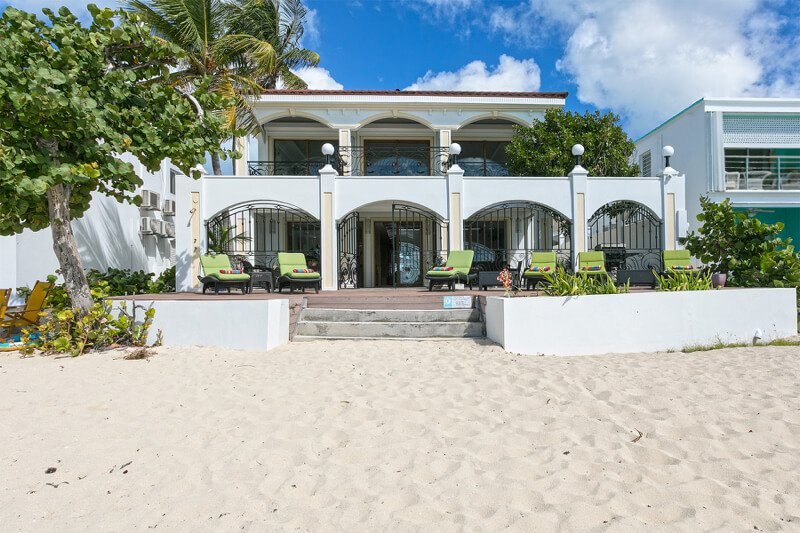 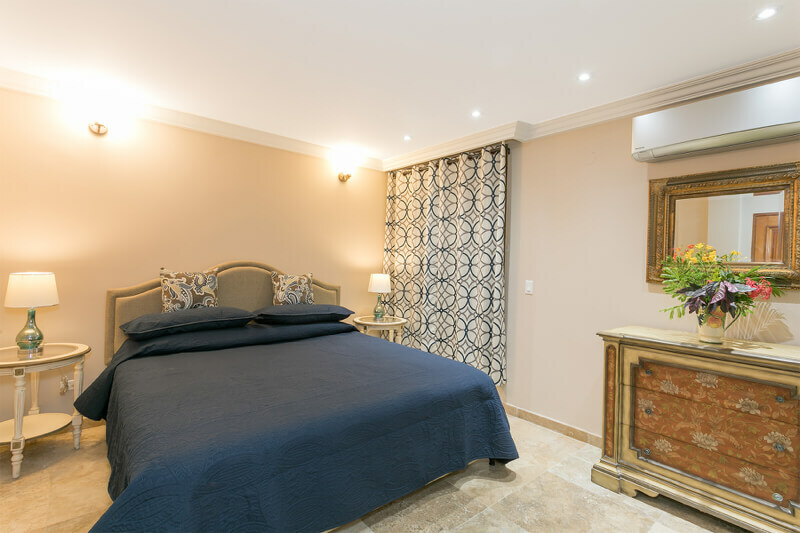 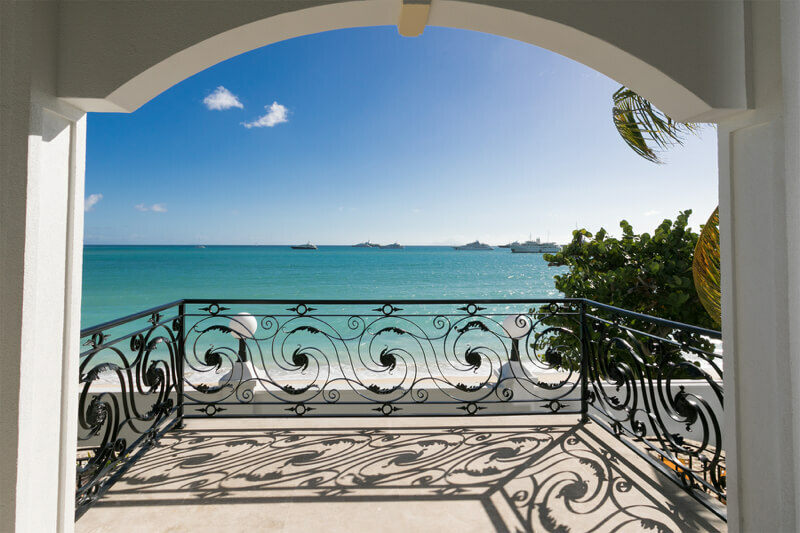 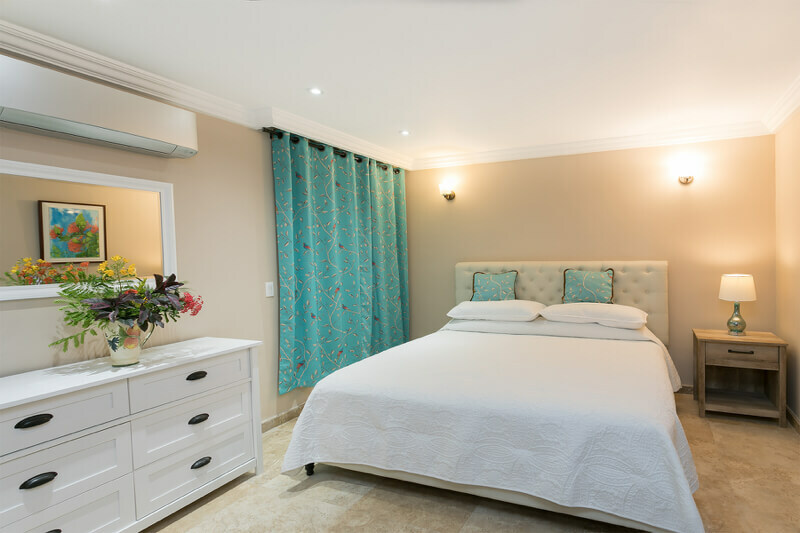 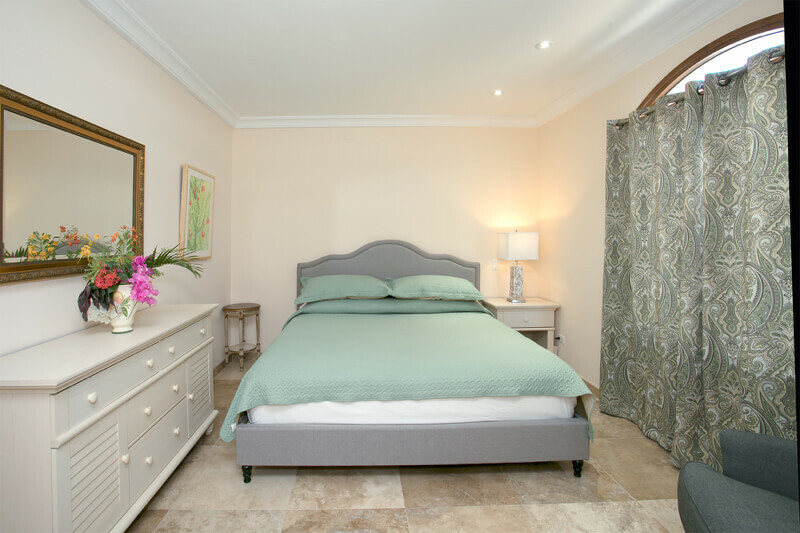 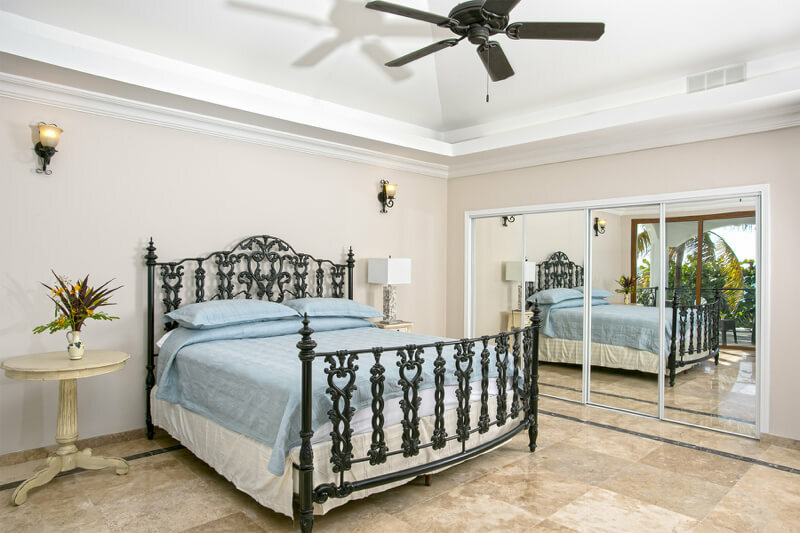 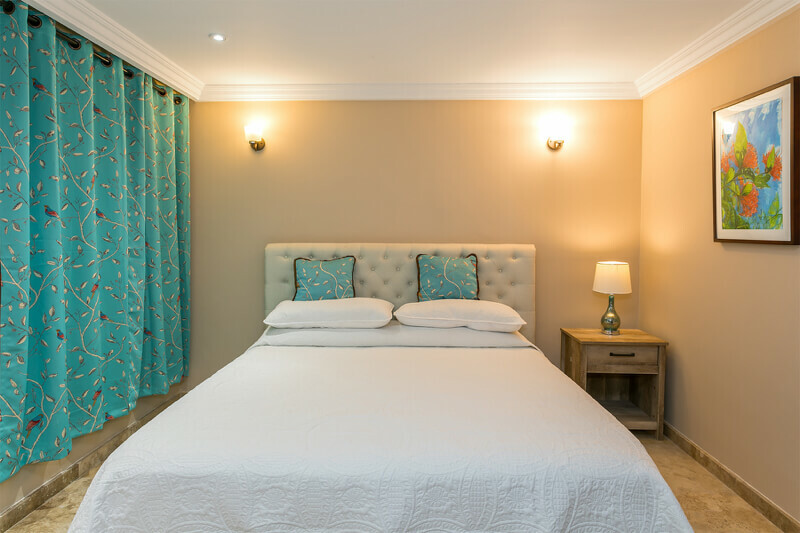 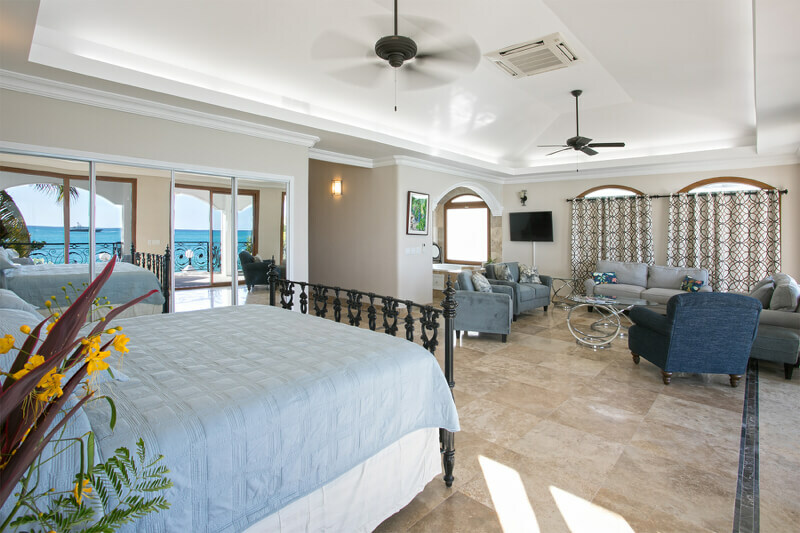 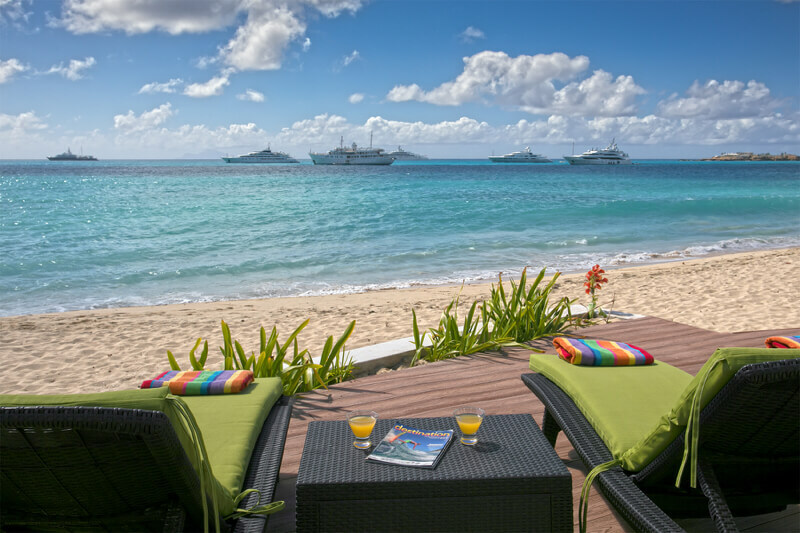 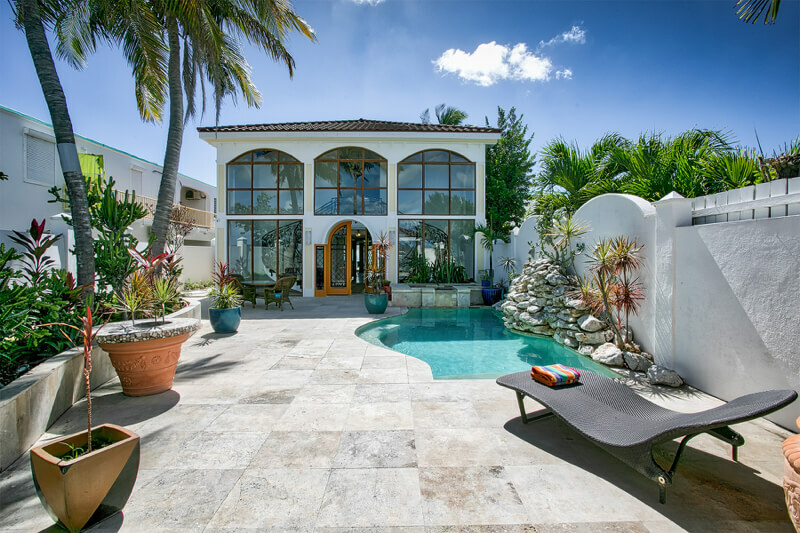 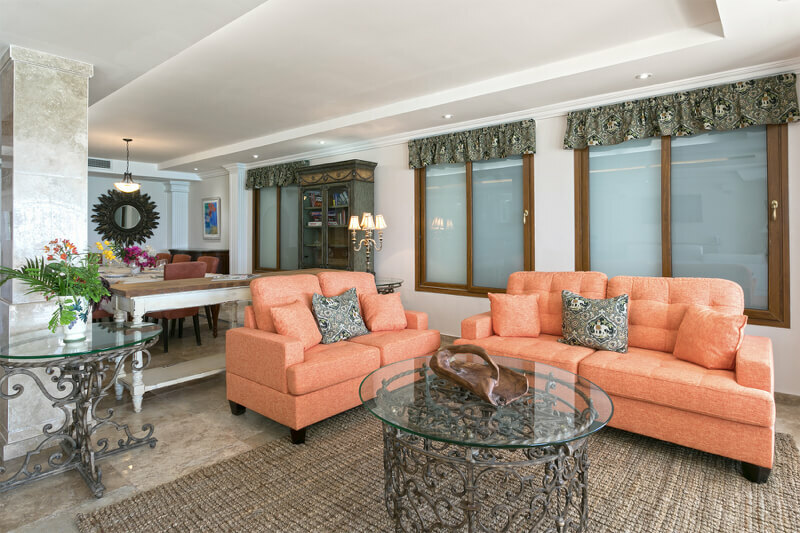 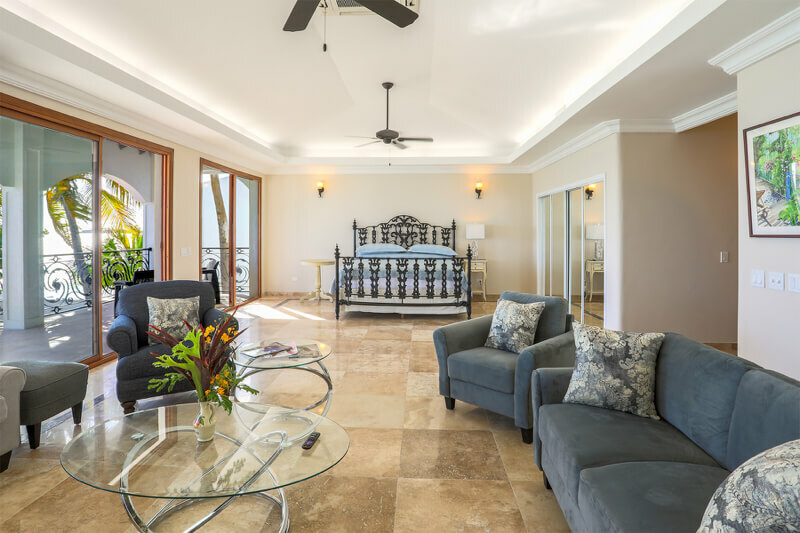 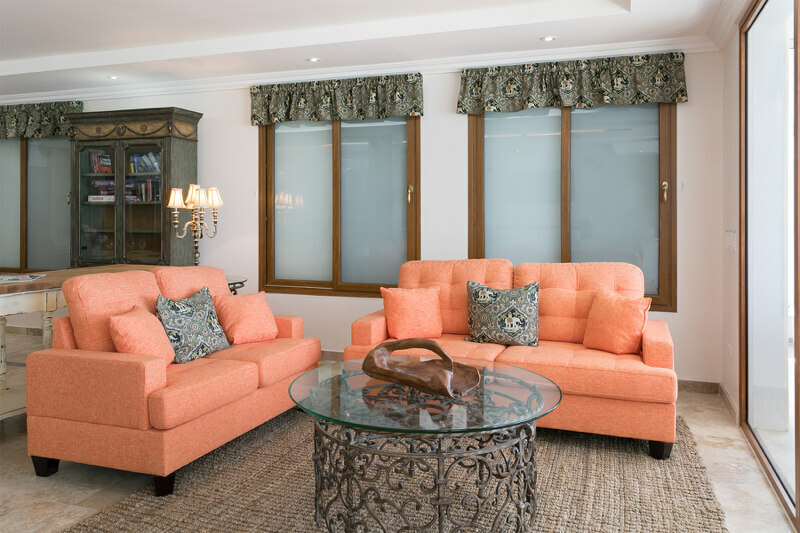 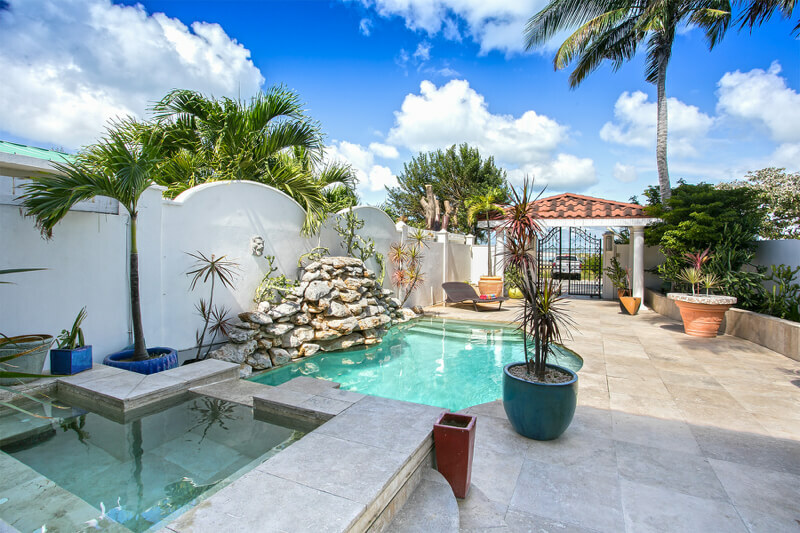 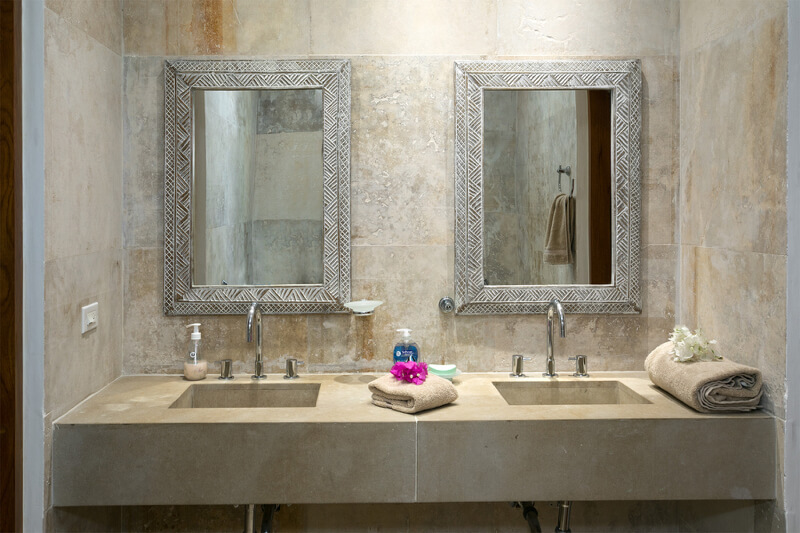 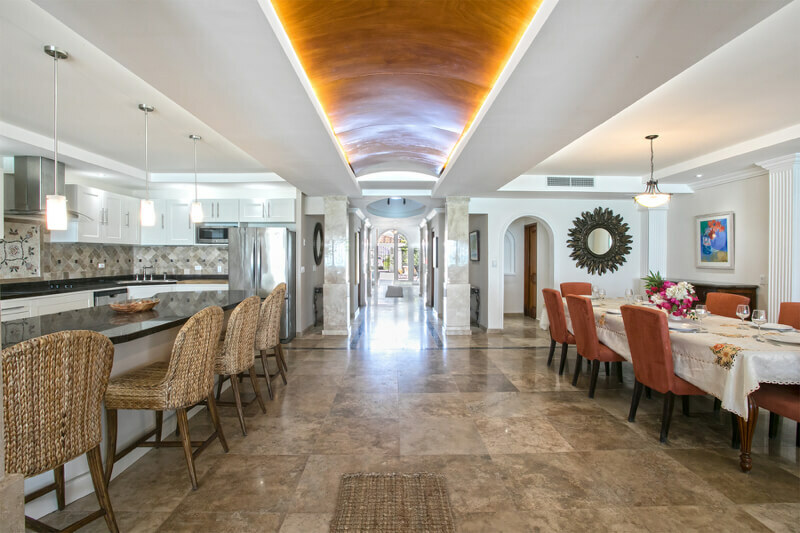 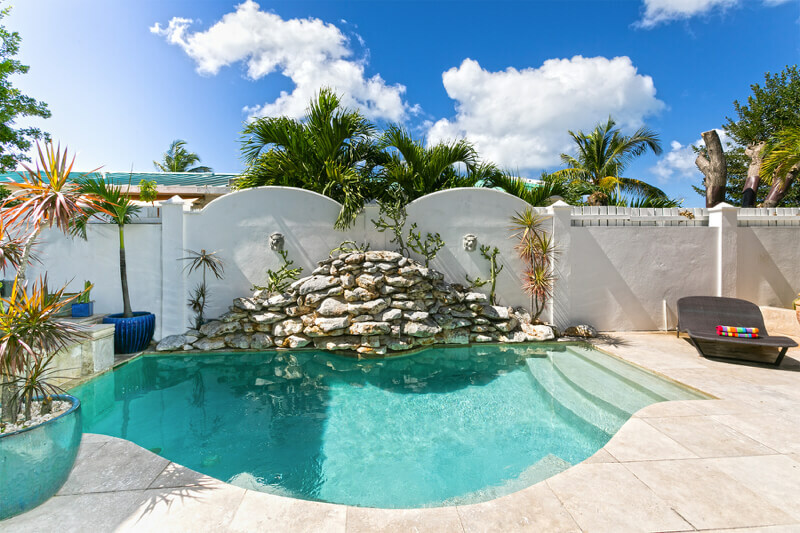 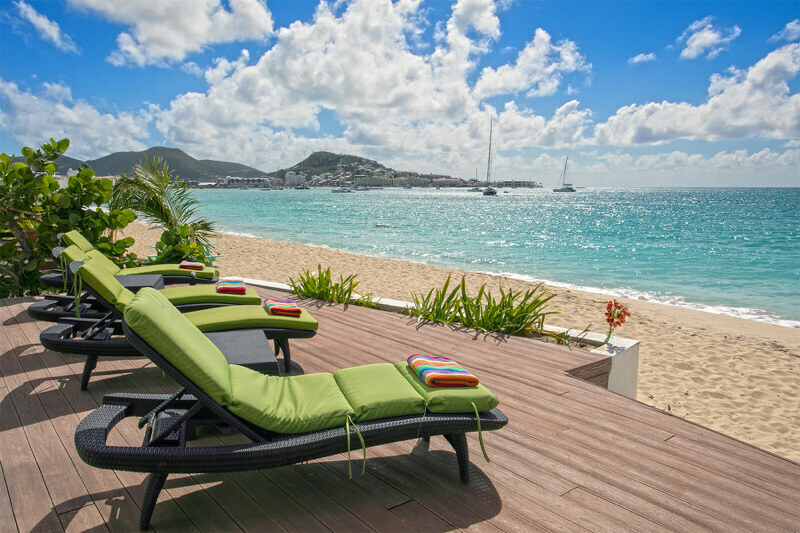 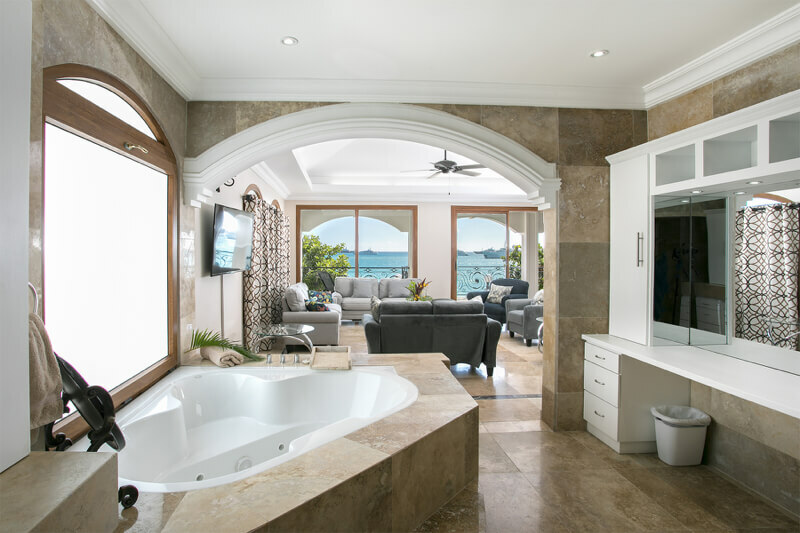 Villa Vittoria is beautiful beachfront villa located on the southern coastline of Dutch St Maarten on the popular white sandy beach of Simpson Bay facing the sparkling blue water of the Caribbean Sea. 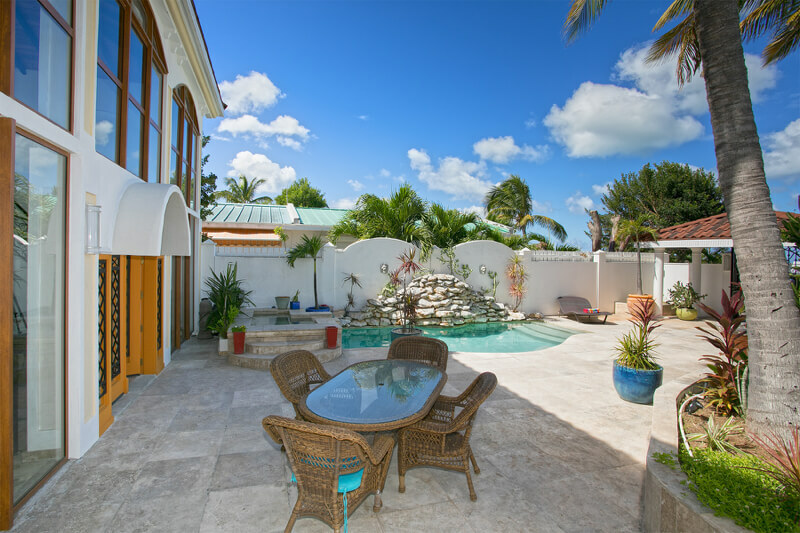 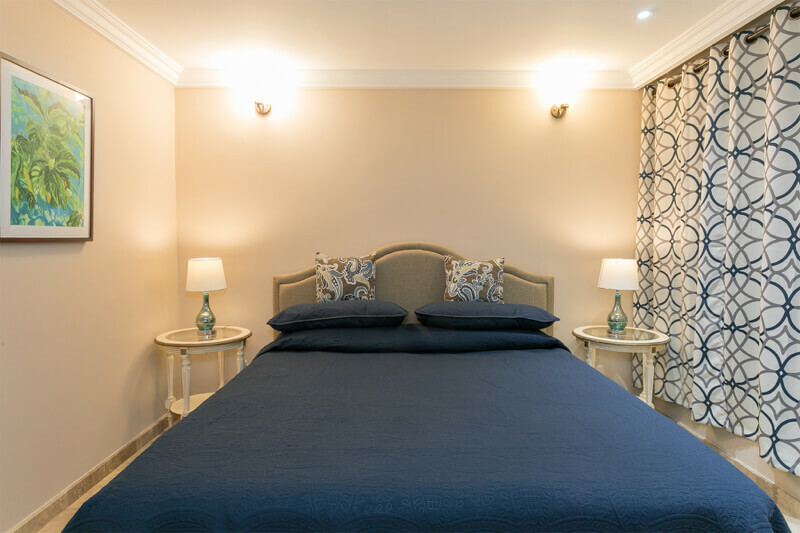 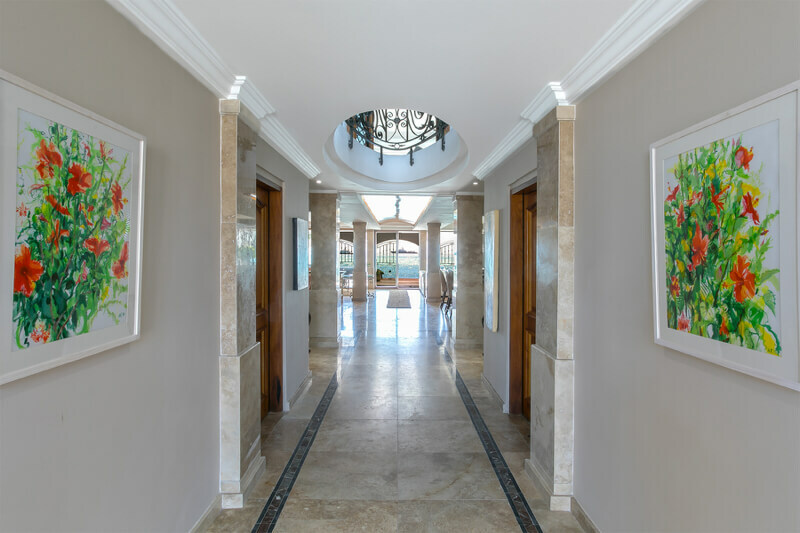 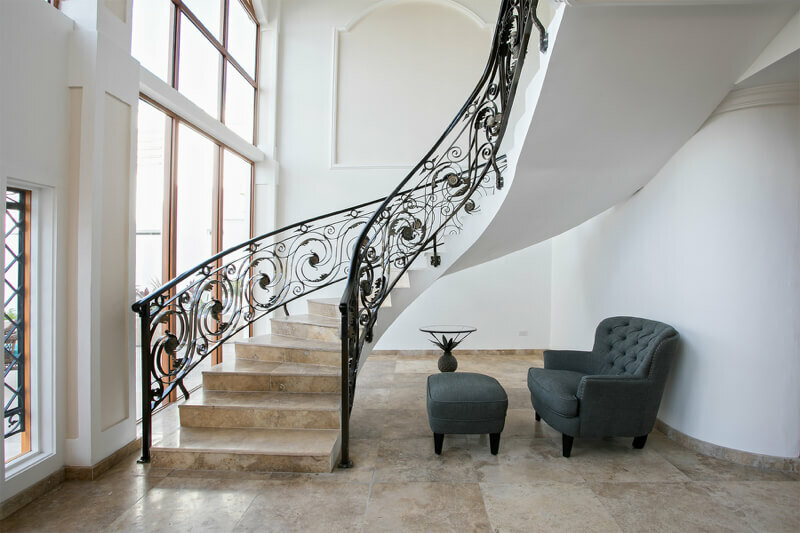 This elegant 2 level villa offers 6 bedrooms and beautiful Italianate architectural features. 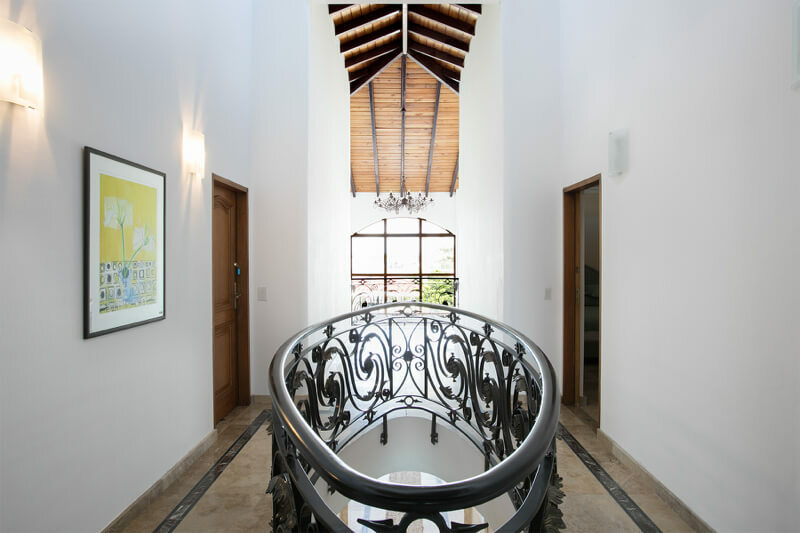 Wrought iron gates open into a sheltered planted patio area with a plunge pool, leading to the impressive glass-walled entrance. 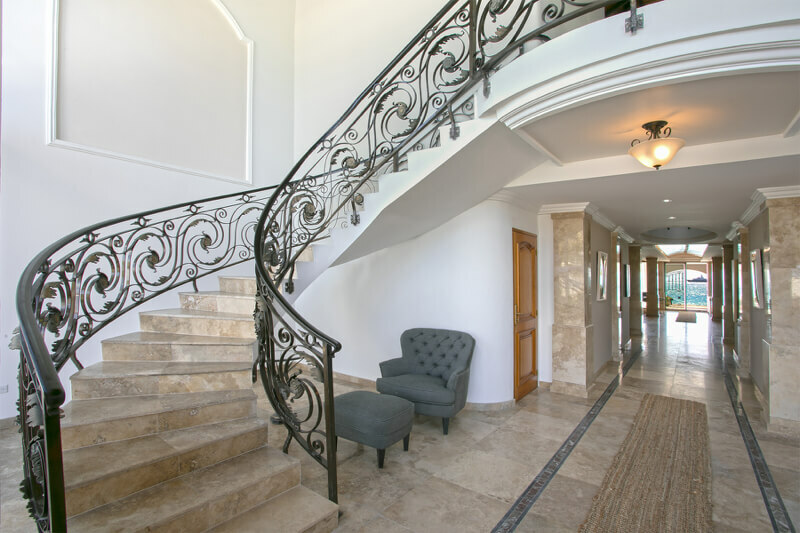 Large double doors open to the light-filled lobby area flanked by two staircases with ornate balustrades sweeping gracefully to the upper level. 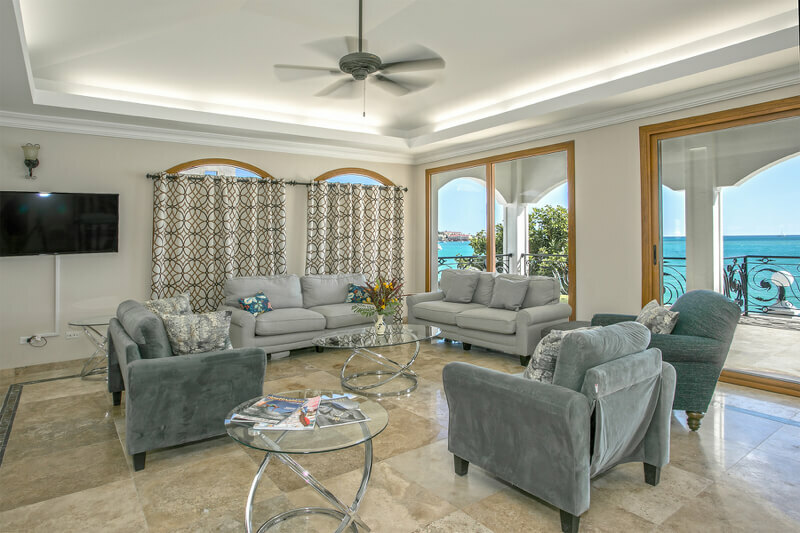 Leading from the lobby on the ground floor, a stunning ocean view awaits you from the large open plan air-conditioned living space. 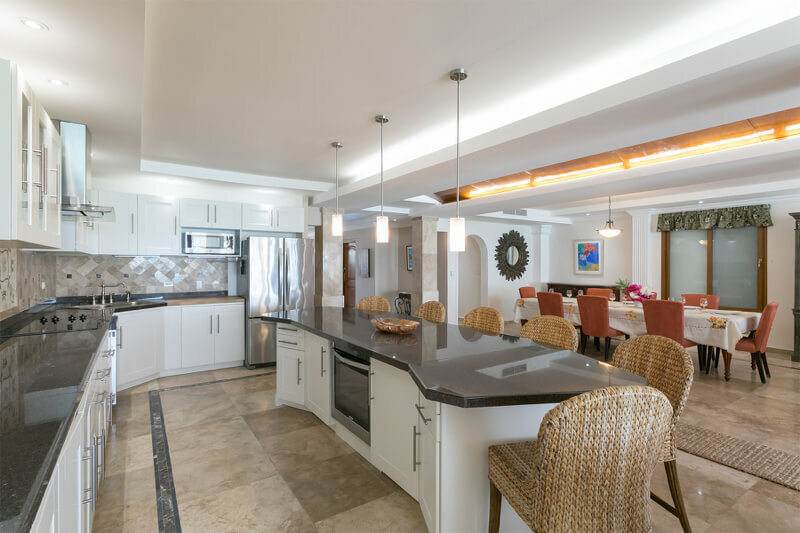 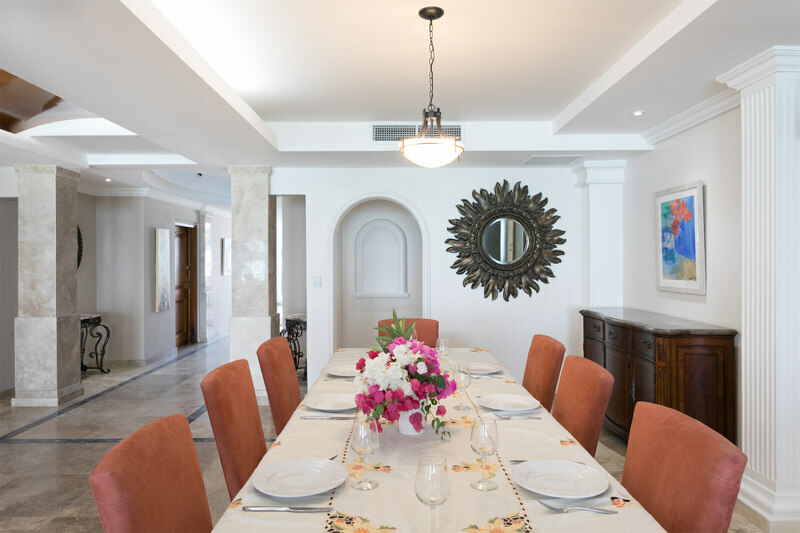 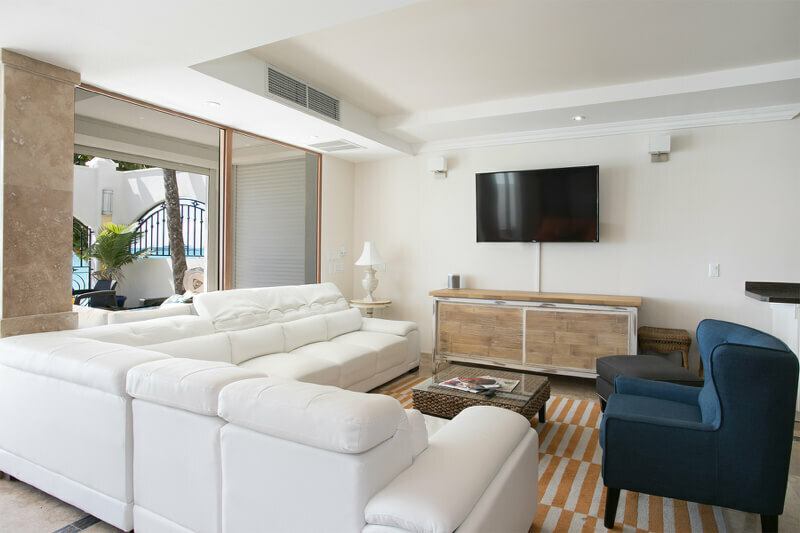 On the right hand side is a well-equipped kitchen and long granite topped breakfast bar, and to the left a large dining table and in the front, facing the ocean is a spacious and comfortable lounge and TV viewing area. 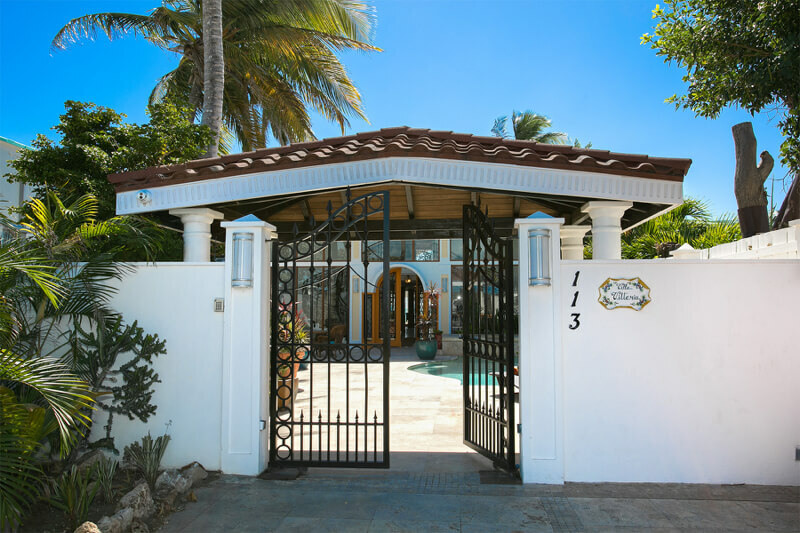 Glass sliding doors open out to a covered terrace just steps from the beach with comfortable seating and dining area and a large wrought iron gated partition opening to a beachfront sun deck equipped with stylish loungers. 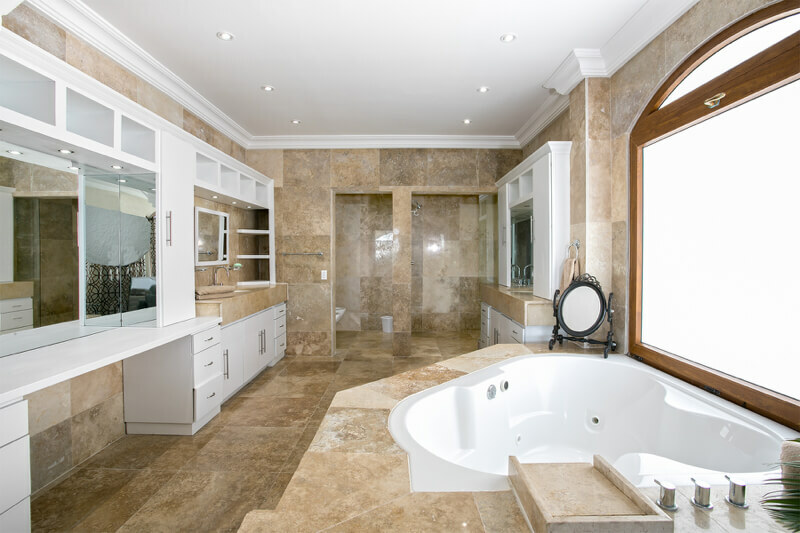 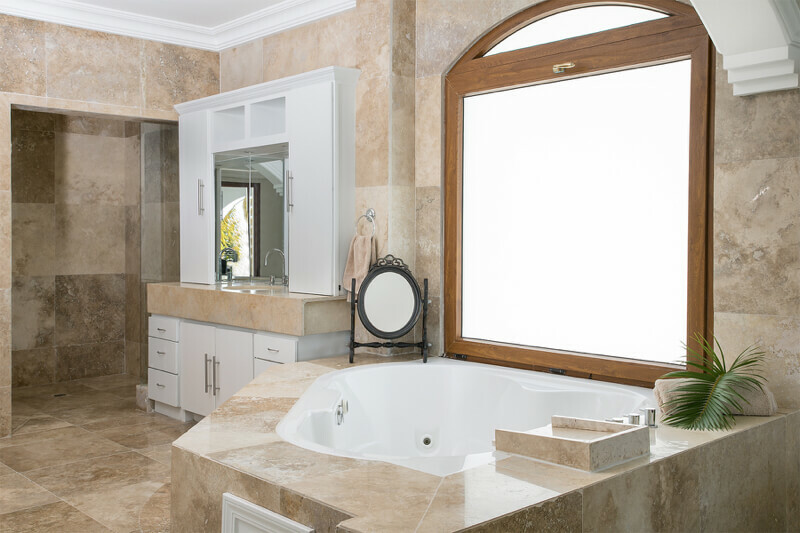 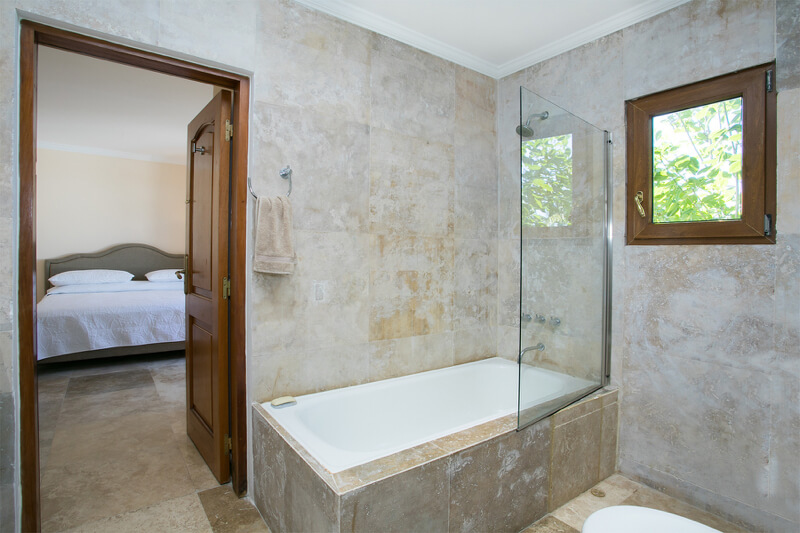 Two of the remaining 3 bedrooms are interlinked and share a marble bathroom with a tub. 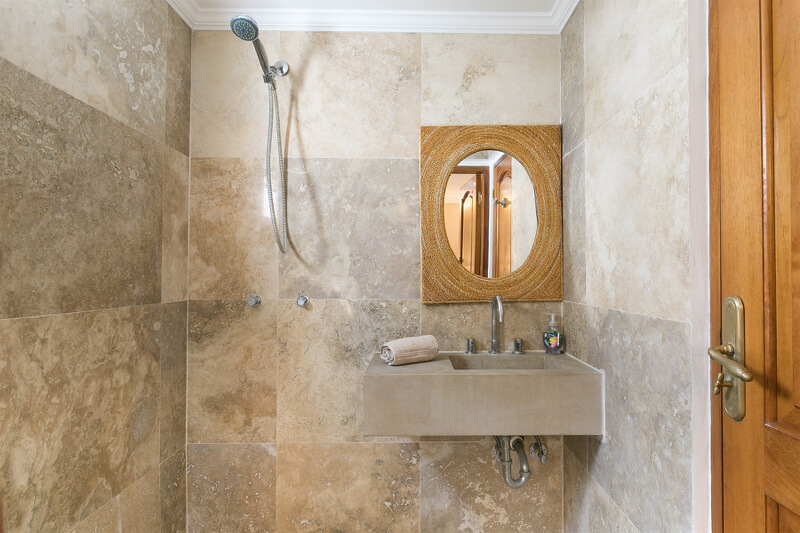 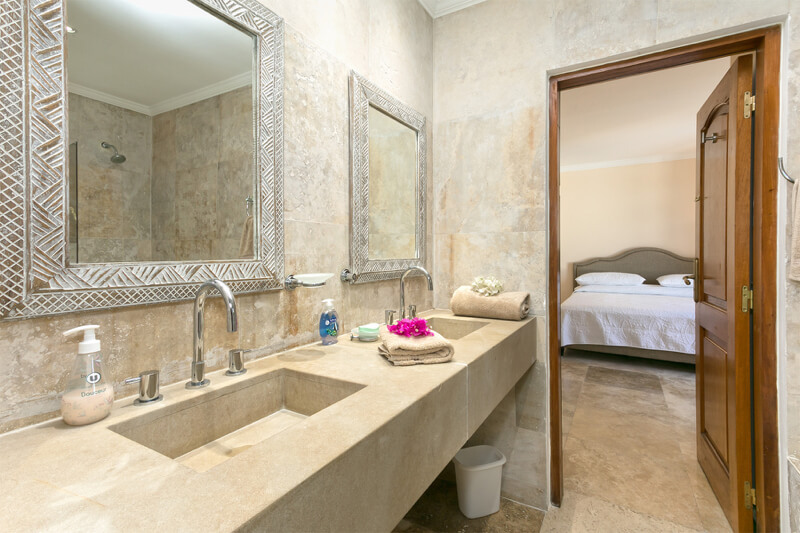 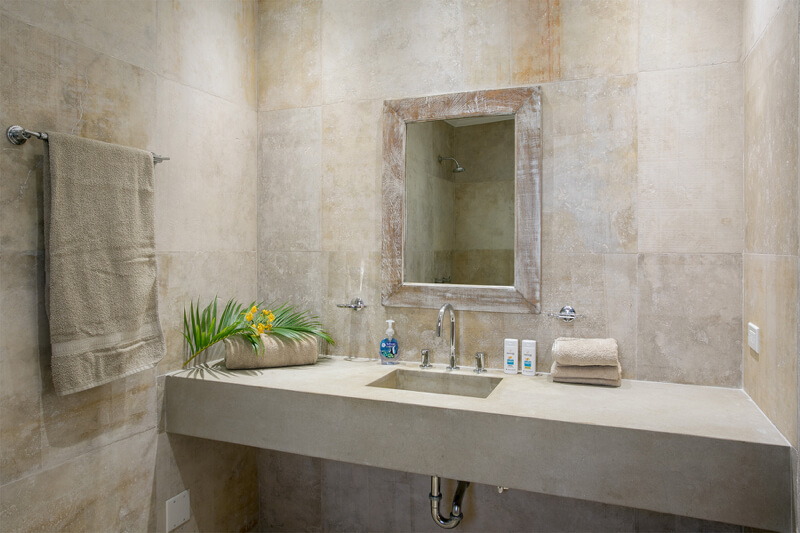 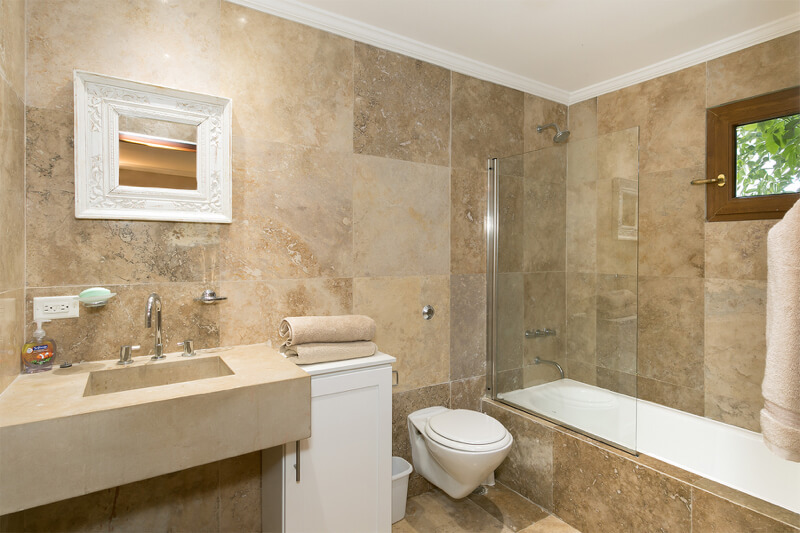 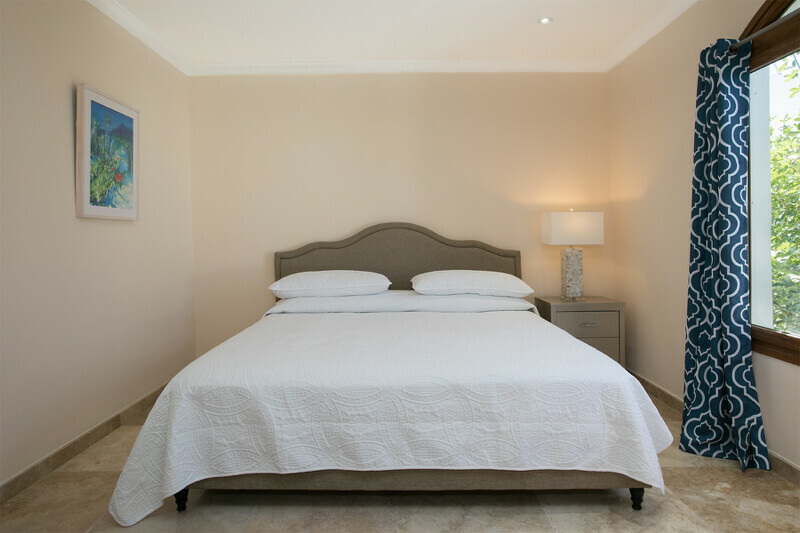 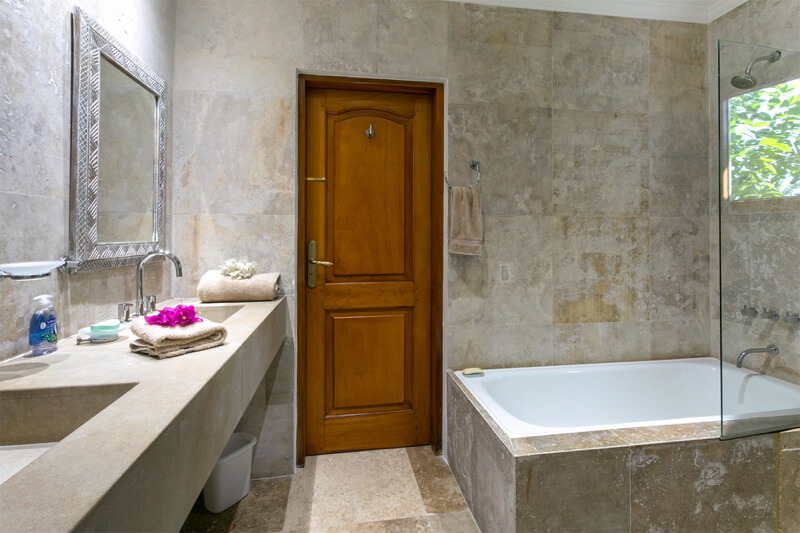 The 6th bedroom has an en-suite marble bathroom with shower. 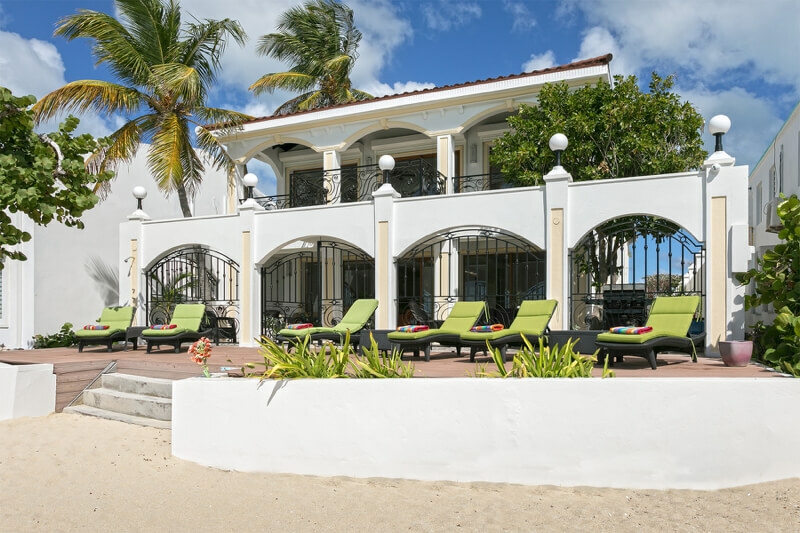 Villa Vittoria is perfect for families or couples traveling together and offers the ideal setting for a relaxing vacation with its fabulous beachfront location, luxurious amenities, all within walking distance of Simpson Bay, a popular area for shopping, activities, restaurants and the most vibrant nightlife on the island! 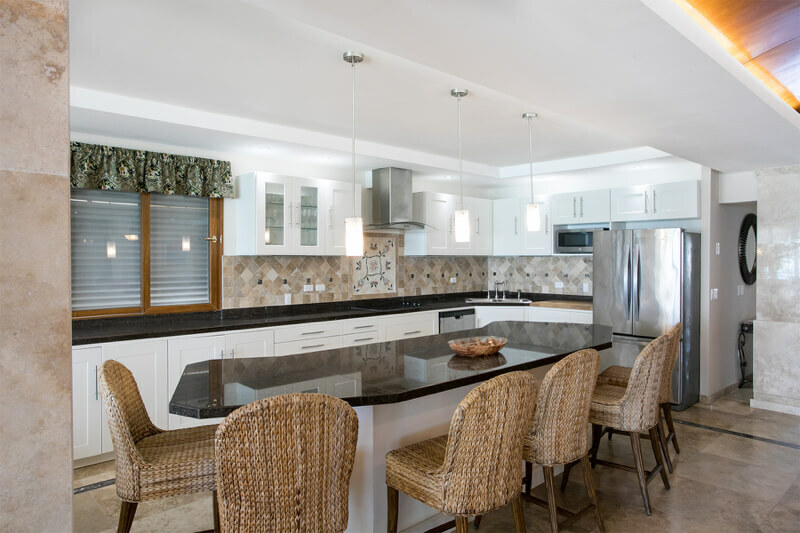 Spacious, modern and fully equipped white kitchen with stainless steel appliances. 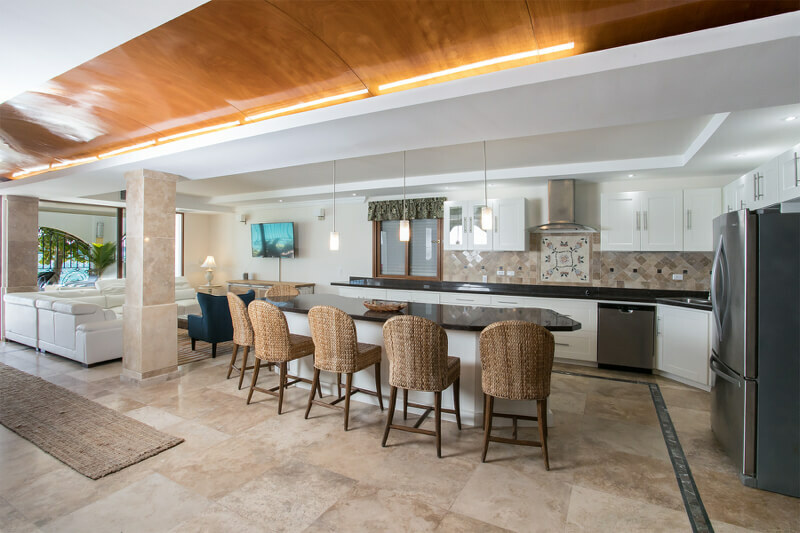 It offers a large kitchen island with bar stools, double door fridge, microwave, stove, dishwasher and all you need to prepare a gourmet meal. 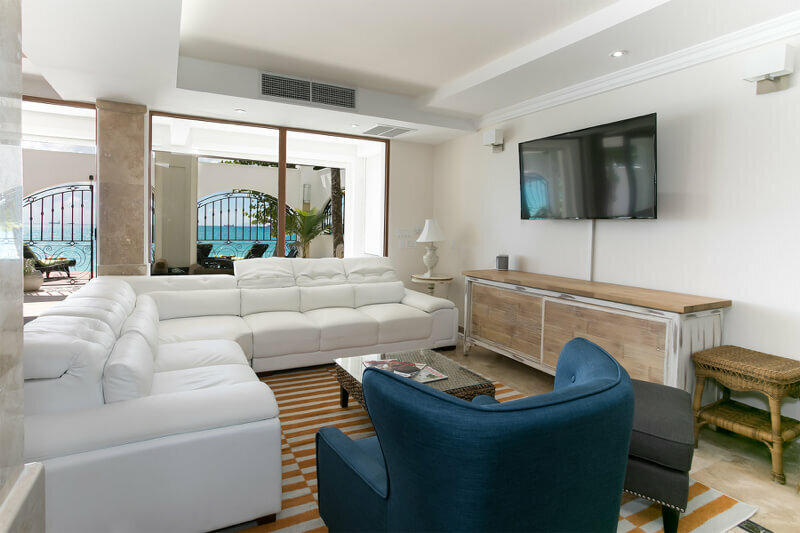 Open floor modern living space with white couches and large TV and inside dining table. 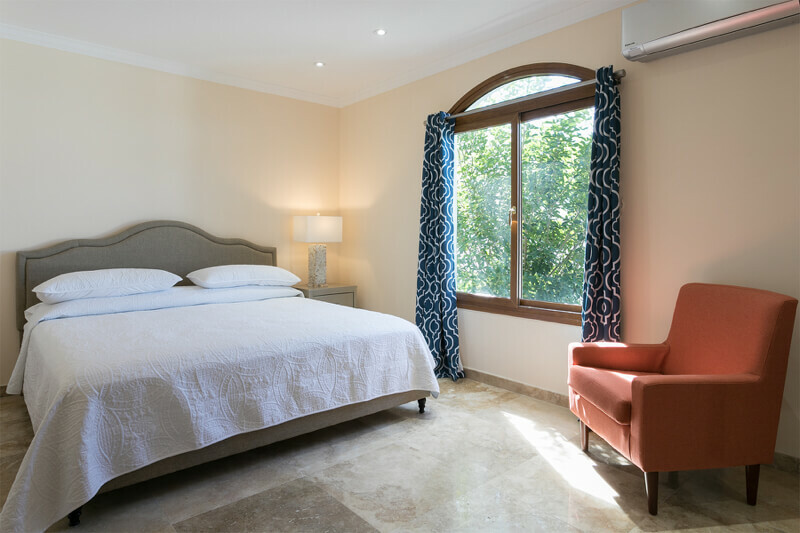 The living space is fully air-conditioned.